Great value for money, the NRS Explorer is a 4 layer immersion drysuit with great features and superb performance that's ideal for canoeing and kayaking in colder conditions. The NRS Explorer suit is made from the brilliant Eclipse 4 layer material. This means that the Explorer is extremely light but durable at the same time. Finished with a DWR the water simply rolls off the Explorer suit while the wonderful Eclipse material ensures that you never overheat. The Explorer breathes and maintains a nice, comfortable temperature no matter how active your paddling gets. The NRS Explorer features a soft GlideSkin neoprene volcano-style neck seal giving you the best of both comfort and protection. 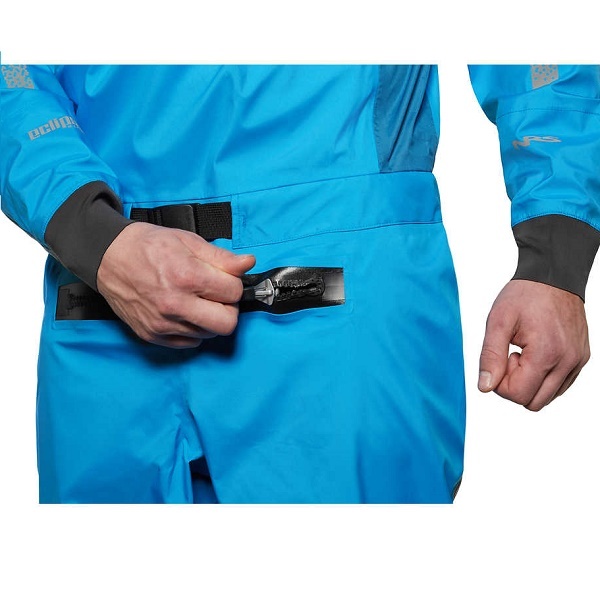 Latex wrist seals with stretchy polyurethane overcuffs with adjustable hook-and-loop closures protect the latex wrist gaskets keeping you warm and dry. The NRS Explorer is also easy to get on and off with plastic flexible TIZIP® MasterSeal waterproof entry and the all important relief zippers. The Explorer's GlideSkin™Neoprene volcano-style neck gasket gives great mix of comfort and protection. Latex wrist gaskets with polyurethane overcuffs and adjustable hook-and-loop closure. 4-layer Eclipse™ fabric with a Nanosphere® DWR finish. Heavy-duty, flexible TiZip® MasterSeal entry and relief zippers. Wide seam taping throughout for additional durability. Buckle-closure waist belt provides a secure fit. An additional layer of Eclipse material on the seat and legs protects these high-wear areas. 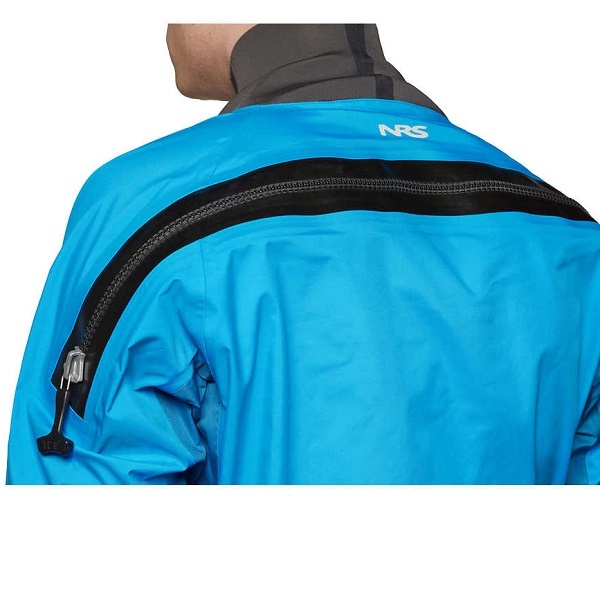 Reflective tape on the arms increases visibility in low-light situations. The NRS Explorer is available for delivery thoughout England, Wales, Scotland, Northern Ireland & Ireland. The NRS Explorer is available for instore collection from Norfolk Canoes or from any branch within the Canoe Shops Group.